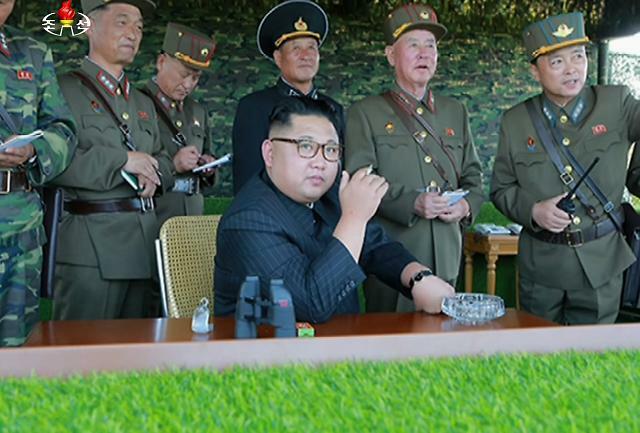 A video clip showing leader Kim Jong-un smoking next to an untested liquid-fueled missile raises concern about North Korea's nuclear safety culture, according to an article published by 38 North, the website of a U.S. research institute. 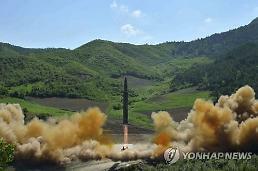 In the 14-second clip, released by Pyongyang's state media, Kim was seen taking a puff while a Hwasong-14 intercontinental ballistic missile is erected on the launch pad. 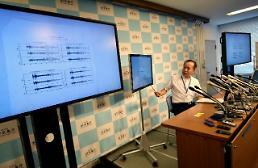 North Korea tested the ICBM in July, watched by Kim. "Kim's recklessness is certainly notable, and it hints at an underemphasized and potentially devastating possibility: the threat of a nuclear accident in North Korea," Matt Korda, a researcher in the Department of War Studies at King's College London, said in the 38 North article. The North's ability to safely operate its nuclear reactors is increasingly being called into question given its isolation and lack of safety culture, he said, adding Pyongyang's ability to respond to a nuclear accident in a timely fashion will make the difference between a small-scale event and a catastrophic disaster. "And while the actual contamination would be localized, the lack of transparency from North Korea in dealing with the situation is likely to cause political panic in the region in excess of the actual radiological exposure and environmental impact." Korda said the opening of nuclear safety talks with the North to help prevent a nuclear accident would provide a rare opportunity for regional dialogue and could pry open the door for realistic and productive discussions of its nuclear program. 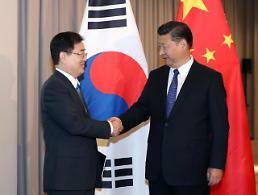 The expert warned that if a crisis were to occur, North Korea's secretive nature would hinder any kind of collective response to a nuclear accident. "Reliable information would be scarce, as the regime would certainly attempt to suppress any reporting on the extent of the damage." 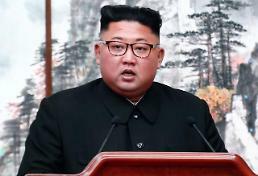 "A severe nuclear accident could pose an existential threat to the stability of the regime itself, so Pyongyang has every reason to seriously consider such an offer," he said.